Paddington station is a funny place. Broken up and disjointed with bits not all interlocking like they should and having to be linked by a concourse above ground. A bit like Hammersmith in that regard. Of course, on the Tube Map it’s all shown as one station, with the Circle Line entering it twice. Echo and I entered it on the Hammersmith & City + Circle Line branch. As the Tube Map shows Paddington as one station, that’s how we were treating it for the purposes of visiting each station. This is Pup All The Stations, not Pup All The Platforms. However, when we come to do the Bakerloo or District Lines, I’ll make another blog post under this one with some photos of that part of the station. The getting of the photo here was a waiting game for the crazed hordes of travellers to get out of the way so we could get a clear shot. We then headed up to the surface level platforms. It was vape O’Clock and also time to do some sightseeing. Our next part of the Circle Line would be gotten to on foot! 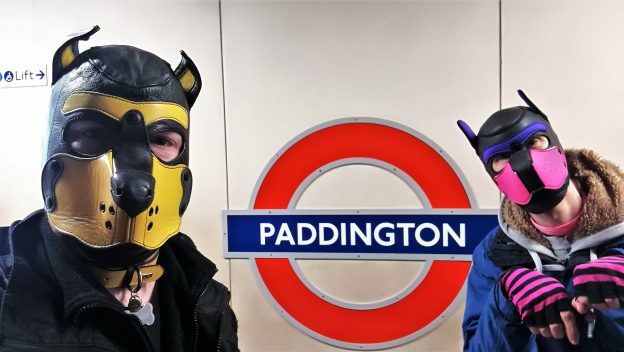 This entry was posted in 2) London Underground, Bakerloo Line, Circle Line, District Line, Hammersmith & City on January 23, 2019 by CondorBriarpup.